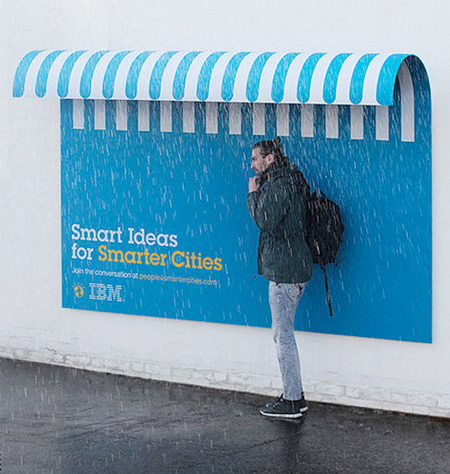 Creative and innovative billboards designed by Ogilvy & Mather for IBM also function as benches, ramps for people with luggage, and rain shelters. 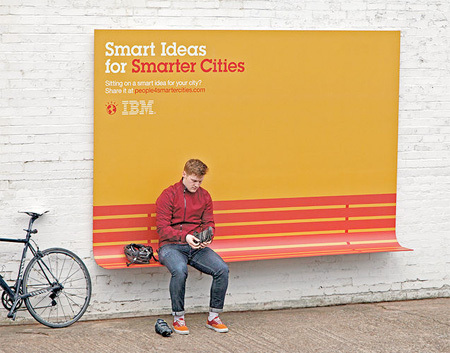 Functional outdoor advertising promotes the IBM brand and adds useful street furniture to different cities all over the world. And you just KNOW some busy body is going to yell at other people for using this stuff as it’s intended. Especially the ramp and bench. 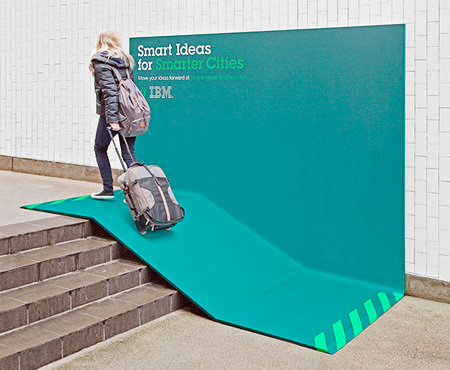 Very good job IBM! Best billboards I have seen so far. Love it. Could use them in parks too. The rain cover looks pretty useless. The others quite useful. RAD! I love the concept, but what if everyone did that? I wonder how much more cluttered our cities would be with ads and marketing. Does anyone thing it will become the next advertising trend?